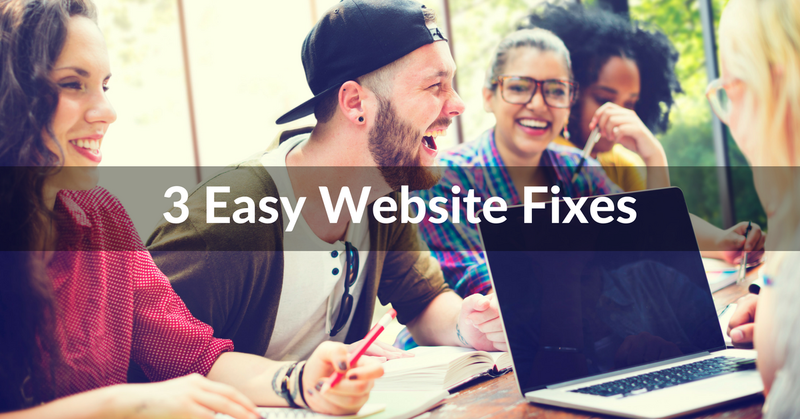 Sure, it’s easy enough to put together a website for your music with all the easy website builders available today, but making a REALLY EFFECTIVE website? One that will help you actually engage with your fans and sell more music? That’s a little more difficult. So I’ve got some easy and quick musician website tips you can use to take your website from good to GREAT. Sign up for free to join us live, or sign up to get the free recorded replay. But in the meantime, here are some musician website tips and best practices you can start using right now. I want you to start thinking of your website like a tool – something that will help you promote your music, connect with your fans, unlock opportunities, or sell music and merch. And that means each and every page needs to have a specific purpose – something that you want to accomplish through the content on the page or some action you want your fans to take after viewing the page. So if you have a gig page, the purpose should be to sell tickets to your upcoming gigs. You should have a gig calendar with buttons to purchase tickets, and possibly an email signup form where you offer some kind of gig-related incentive in exchange for an email address (like early access to tickets, or notifications of secret meetups or events). In the same way, if you have a press page or EPK, all the information on that page should be 100% focused on getting press coverage or a review. You don’t need an email signup form, a gig calendar, or social media feeds. As a little exercise, take a look at your own website. For each and every page, ask yourself, “What is the purpose of this page? What am I trying to get my fans to do? What am I trying to accomplish?” If you cannot think of a specific purpose for a page, change it, consolidate it into another page, or just remove it entirely. This builds off the previous point, but you really want to keep your website’s navigation as simple and straightforward as possible. The last thing you want is for people to click off your website because they can’t find what they’re looking for. As a rule of thumb, don’t have more than 8 buttons in your navigation and limit the amount of sub-navigation pages you have if possible. So instead of having a “Gig” tab with sub-navigation pages for gig calendar, live recordings, book a house concert, and live photos, consolidate to pre-existing pages. Your live recordings can go to your music page, your live photos can go to your media page, and house concerts could become a separate tab if it’s something you want to really focus on. For the most part, musicians will keep their website pretty static and maybe update it every few months. That’s definitely a good start, but first and foremost, your website is the place where you will sell music, sell merch, and get fans on your email list, right? And if fans aren’t going back to your website on a regular basis they won’t be exposed to those offers. So how can you keep your website’s content fresh, dynamic, and interesting? One options is to create a blog where you publish new content on a certain schedule – maybe it’s once a week, or maybe once a month, the key is to find a schedule that works for you. I know “blogging” sounds kind of silly to a lot of people, but it’s important to remember that a blog doesn’t have to be you just writing about your day diary-style. You can write posts or release videos on whatever topics interest you. Use your blog to share more insider-access to you and your music. You could easily create a blog post about how you get a certain tone or how you set up your gear, you could do video tutorials of your songs, you could post monthly Q&A’s with questions that you gather from social media, or you could share the behind-the-scenes process of your current project. As a bonus tip – try giving each blog post a purpose by linking to relevant items on your store, gig page, or email signup form. So if you’re taking fans behind the scenes at your gigs in a blog post, link to your gig page. If you’re talking about the tone from your newest single, link to a place where they can actually purchase it. Sign up to join us live or sign up to get the recorded replay.